In the several articles on RAW about using musculoskeletal ultrasound in Rheumatoid Arthritis I’ve stipulated “with training” for good reason. Let’s look closer at the need for training in ultrasound use for rheumatology patients. Please see the recent post Rheumatoid Arthritis Ultrasound News describing the significant role musculoskeletal ultrasound can play for people with Rheumatoid Disease (PRD) in revealing disease activity that doctors can’t see with the naked eye. Power Doppler ultrasound has many uses. The same basic technology allows us to look at weather systems, ocean depths, and preborn babies. But the weatherman can’t tell you when your baby is due. Training for each use is specific. One sign of how important training is for musculoskeletal ultrasound (MSUS) is the response when I called local orthopedic practices and imaging centers. None of them are willing to use their equipment to perform musculoskeletal ultrasound because they are not yet trained to use their machines on joints and tendons. They are obviously trained to know not to use their tools to do things they don’t know how to do. That’s actually good to know. Another sign of the importance of training for MSUS is the fact that the American College of Rheumatology offered MSUS training sessions at the annual scientific meeting. And, pediatric rheumatologists want training that is specific to pediatric use of MSUS. But, look at what one ultrasound technologist said about the use of ultrasound in JRA: “I am very confused! What exactly is the technologist seeing on the screen…? Isn’t synovial fluid quite static unless you are pushing quite vigorously, and are able to slosh it around, the fluid won’t move enough to make ‘power doppler’ provide you with any significant diagnostic information…”(See image for full quote). WITHOUT expert training, a clinician could mistakenly identify something (perhaps eliciting unnecessary tests) or much more likely, could fail to recognize disease activity and give false reassurance of low disease activity. These are two distinct uses for ultrasound equipment in rheumatology. If your doctor’s practice has purchased an ultrasound machine (a small percentage of offices in the U.S.), it is likely used for guiding a needle when aspirating or injecting a joint. Studies have shown that these procedures are more accurately performed with ultrasound guidance, providing better and longer-lasting relief to patients. Even if your doctor has not been trained to use MSUS to diagnose the many musculoskeletal aspects of RD, it’s good news if she / he has recently purchased a machine because the cost of a machine is one big hurdle that’s already crossed. You might want to find out whether it is PDUS or GSUS, and then ask about whether they’d like to practice on you. That’s actually done often since MSUS can require hundreds of uses before one becomes proficient in its use. Long ago and far away, I read all about a wonderful new way to see what’s going on inside of joints and tendons, even when visible swelling is subtle: musculoskeletal ultrasound. After calling numerous rheumatologists, orthopedists, and imaging centers in my area, and reading about how few are trained in MSUS, I met someone who knew a rheumatologist who had an ultrasound machine. Soon, I traveled across three states to see this doctor. Ultrasound only works on the MCP joints (knuckles at the base of fingers), not on feet or any other joint. RA never attacks the DIP joints. The CRP is always an accurate indicator of disease activity. Everyone’s anti-CCP test is always over 250. All things we now know are wrong. It was obvious that he didn’t know how to use the machine. But the point is that in the hands of someone who is poorly trained, even a good tool can be only a blunt weapon. We’ve seen a tool be turned into a weapon against PRD before. The Rheumatoid factor test was an earlier example. And then the ESR / sed rate. And then the CRP test. And most recently, rheumatologists have misused the new Vectra DA test that way (see one example in discussion here). Those who are not adequately trained will misuse MSUS, like Dr. DIP, giving false information to patients, or even using it to “prove” they have no disease activity. I will continue to advocate that PRD have accessed to expertly trained MSUS. There are many more musculoskeletal videos on the MSK page at Sonosite’s YouTube page here. I’ve just watched this one so many times since I’ve had painful Baker’s cysts for three years. Hopefully the videos and the next post in this series will convince any doctor who’s still a naysayer on MSUS, thinking it’s not worth the trouble. POSTBLOG: It wasn’t pertinent to the post, but of course I was stunned and disappointed by Dr. DIP’s dismissal, and accompanying scolding for seeking out this test. But it made me think of the many other patients with such stories. When I verified how wrong he was, and realized how few PRD in the U.S. have access to MSUS, I wanted to go to nursing school, travel to Leeds (in England with Paul Emery) for MSUS training, and the purchase an US machine, and start helping PRD get answers. Unfortunately my own RD is unrelenting, so I could not. It sounds crazy, but so does starting a national non-profit from your sofa. Soon afterwards, I decided to found RPF and work to help PRD get better care through education, advocacy, and research. ← Chest Pain in Rheumatoid Arthritis: Costochondritis Anyone? I was diagnosed with RA in February of this year and reading this blog always reminds me how lucky I got with my rheumatologist. I’m only 30 and seronegative, but not once were my symptoms dismissed. More than that, after my x-rays came back with no visible damage, my rheumy referred me to another doctor in her practice that uses doppler ultrasounds for RA diagnostics. The doctor started the exam and when she realized that my joints were showing synovial thickening, she used the ultrasound on her hand so I could see the difference and recognize what we were looking for on the screen. 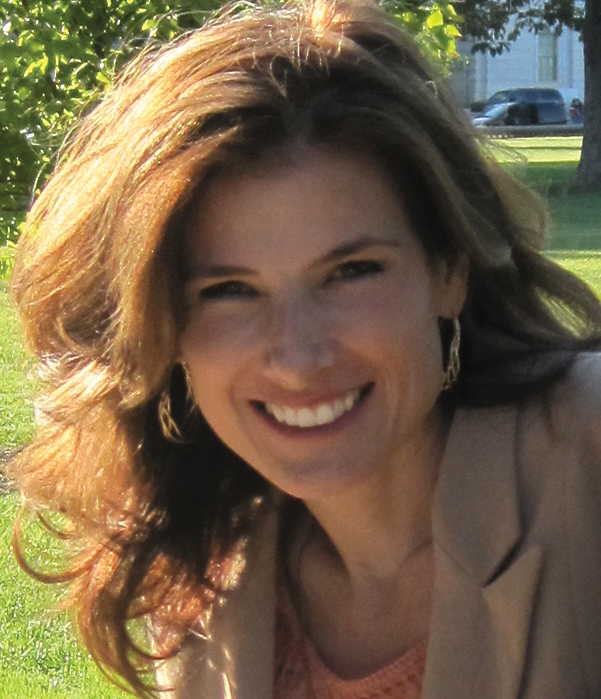 It made me feel confident in the diagnosis and empowered that it wasn’t all in my head. The results of that exam indicated that the disease was more aggressive than they initial thought and they put me on a more aggressive treatment plan. We still haven’t found the right combination of drugs, but we’re working on it. thank you for sharing this great example. That’s exactly what I’ve said that docs should do – refer to a colleague who has the expertise – at least for the US. Wonderful example. Power doppler ultrasound is THE diagnostic tool that provided the evidence that my disease was “very active” and my RA was worsening when other measures were not effective in providing the information. I had a power doppler ultrasound of hands and feet when first diagnosed with RA and at about the 1 year mark. My CRP and ESR are always normal so these blood markers are not useful in tracking RA inflammation (not all doctors are aware of this and that normal values are routinein at least 30% to 40% of people with RA). My joint swelling is not always visible on clinical exam, despite the fact it is evident to me, as is the pain. My x-rays don’t show erosions “yet” (research shows it takes at least 2 years for x-rays to show damage). 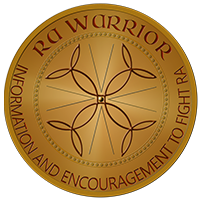 We’ve read thousands of accounts of people with RA who are told by their rheumatologists that their CRP and ESR are normal and there isn’t evident joint swelling so the disease is not active. When this wrong interpretation is made, people with RA can be given inappropriate or no treatment. This is negligent medical care. The disparity that exists between the patient and doctor can cause hard feelings and the patient’s credibility is questioned if they challenge this interpretation. In my view, there is an urgent need for the field of rheumatology to actively prepare to have advanced imaging (power doppler ultrasound and MRI) become “the standard of care” in diagnostics and monitoring disease activity. EULAR’s 2013 published recommendations about the use of advanced imaging in rheumatology should provide sufficient research evidence for this initiative. Kelly has already published the link to the guidelines and I have as well. Either of us could provide this link again if requested. Rheumatologists don’t need to be the medical professionals who train to administer the procedures as they are starting from a very basic level of skills compared to radiology technicians and radiologists. There are thousands of radiology labs in the United States and throughout the world with expert radiology technicians and radiologists who would simply need to upgrade their skills to include the standardized procedures for power doppler ultrasound that already exist. I certainly don’t think rheumatologists expect to complete MRIs, do they so why is there the thought of completing the MSUS in overworked rheumatology practices? Europe, particularly the UK, has power doppler ultrasound protocols for RA already in place. There are literally hundreds of publications on the topic. Our lives depend on accurate, objective diagnosis and management of our disease. When the technology already exists to provide this information, the debate about efficacy needs to stop and the focus should be on HOW the current practices will be implemented and paid for. I can’t imagine the struggles I’d be having with my disease and rheumatologists if power doppler ultrasound hadn’t been a standard part of my care to-date. Slightly off topic – Earlier this year it was revealed that a disease related foundation had taken in $14m in fundraising and yet of that amount they only retained about $3m – about 20%. So – roughly $11m of the donated money went to the company who handled the fundraising; leaving about $3m going to the disease related foundation. If we had a quarter (25%) of those funds lost to administrative costs, $2.75m – just think what Kelly could do with it, given what she’s accomplished all on her own. It makes the non-profit she started from her sofa look even better. On topic – one has to wonder why more rheums don’t utilize this tool for the benefit of PRD. Just seems like a logical course of action – with proper training, of course. Great information, Kelly. Great and timely article, Kelly. Because of your preceding posts on this topic, I changed doctors 2 weeks ago after I searching the web and finding the one rheumatologist (Melissa McNamara, MD) in the entire San Francisco Bay Area who’s actually trained in performing MSUS. My initial visit took 3+ hours, as the first 30 minutes involved my completing a very comprehensive medical health questionnaire. Then another 45 minutes went by as Dr. McNamara reviewed my questionnaire and actually read through ALL of the files (previous doctor visit notes, MRI, CT scan films, radiologist reports, and lab results) I had brought along. Then she spent another 90 minutes with me to perform a thorough physical exam, which also included MSUS of both of my hands (including all my fingers) and both knees, as well as her listening/taking notes as I told her about my situation before and since my RD diagnosis 14 months ago. Most fascinating was seeing the extent of erosions on my fingers and knees, and her explaining what we were looking at clinically in terms that I, as a lay person, could understand. Needless to say, I came away very encouraged that I had, at last, found a rheumatologist who will treat me as an equal partner in treating this heterogenous disease, instead of just another patient to apply cookie-cutter treatments on. Thank you for taking time to share, Lorraine. I’m so glad for you. You know that will encourage someone else to find adequate care too. Reading your post reminds me another problem with poorly trained doctors. Not only does a patient with a dismissive doc as many comments describe leave with frustration, but they also often end up with wrong information about their disease. A doc who does no imaging for years at a time, as my first doc did, or one who relies on x-rays every couple years as my other one did, and then reassures you that there is no damage is not doing you a favor. It is proven that x-rays show damage much later. I keep printing copies of what I seem to think is the newest or most important info you keep reporting to us….I believe I now have enough info to equal the size of a couple New York City phonebooks combined! Perhaps I need to be more selective, but you never cease to impress me with all that you add to our knowledge bank! Thank you again for all your updates and “latest news” info…so, so appreciated! Wish you lived further north so that we could help you more and have these discussions with coffee cups in our hands! Together, we are going to change the future for young patients like Kaitlyn (& my son likely). I have no doubt. And there’s no doubt we’ll have that coffee someday. Hello everyone, I just read your article Kelly and I must say that I was not only educated but motivated. I am sure that with enough time a lot of doctors will learn to harness the power of the (MSUS). Until that day comes I am also sure that with crusaders like yourself pushing the envelope of doctor accountability,there will be far less misdiagnosis for those that are less aware. I have no doubt you and others like you will change the future for younger patients. Thanks for the amazing informative article. This will provide a certification for those rheumatologists and other providers that is specific to rheumatology patients. I assume that a list of those being certified will be available at the ACR website in the near future so people can see those who have taken the initiative to become trained in this procedure for RA patients. According to the ACR “Report on Reasonable Use of Musculoskeletal Ultrasonography in Rheumatology Clinical Practice,” studies have shown many potential benefits for using MSUS, including faster and more accurate diagnosis, optimized treatment, and improved needle placement accuracy. Now, physicians, physician assistants, and nurse practitioners who perform ultrasound as part of their practice in rheumatology will be able to demonstrate competency in musculoskeletal ultrasound and promote quality of care with the new RhMSUS™ certification. I myself took part on the EULAR Sonography course that took place in Madrid this year. Rheumys from all around the globe were there, looking at these weird lumps that I’ve always had in both of my wrists. I was there as an specimen, please note. I don’t have RA, but from several years ago I’ve had hand pain which no doctor was able to pinpoint the reason to that, despite those wrist bumps. I’ve had several hand MRI, that came back clean. Two Rheumies performed MSUS on my hands, with no findings. I was totally desperate with the medical field until I found this rheumy. she is an expert on MSUS, and she found something abnormal there : a muscle is running through my carpal tunnels , irritating the nerves and tendons within. As she said, this is quite uncommon so in order to confirm her diagnosis she brought me to the course as one of the advanced MSUS cases. 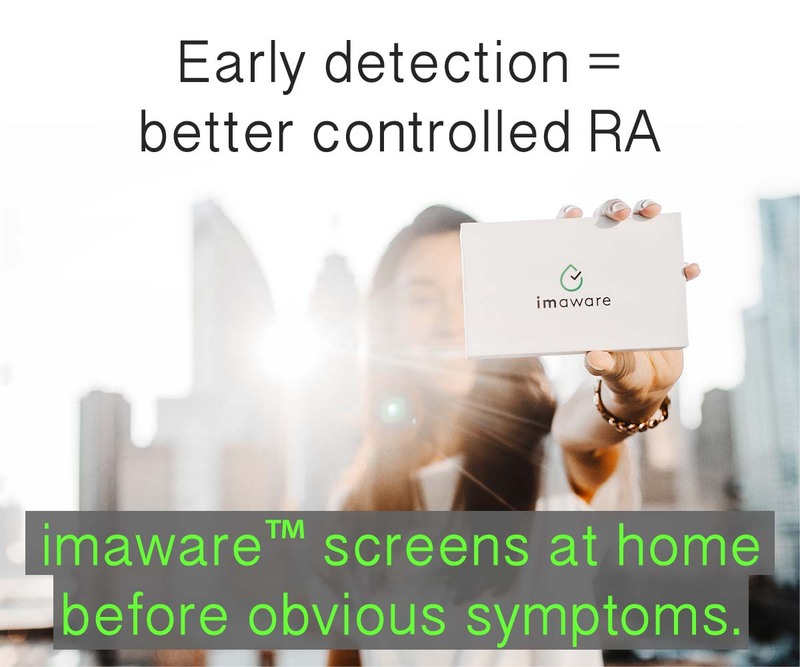 All the rheumies, well almost everyone, failed with the clinical diagnosis , being tenosynovitis the most common – this took me into my RA investigations in the first place as this was my initial diagnosis – once the rheumies took the ultrasound machine , they were given with another oppty to diagnose. They failed again. This technique has to be extended in the clinical practice. It is mandatory and the earlier the better. I myself I would saved some € if just some experienced radiologist would have looked at me.